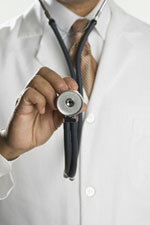 Accelerated 6 years program leading to Doctor of Medicine (M.D.) Degree directly after high school. Higher placements are available to qualified students. Curriculum based on US med schools program designed to prepare students for medical licensures examinations in US and other countries. Well qualified and experienced faculty and small class size. AIUWA College of Medicine is listed in IMED FAIMER International Medical Education directory published by Education Commission for Medical Graduates (US) ECFMG. AIUWA medical students are eligible to give United States Medical Licensure Examinations (USMLE) for residency programs in USA.